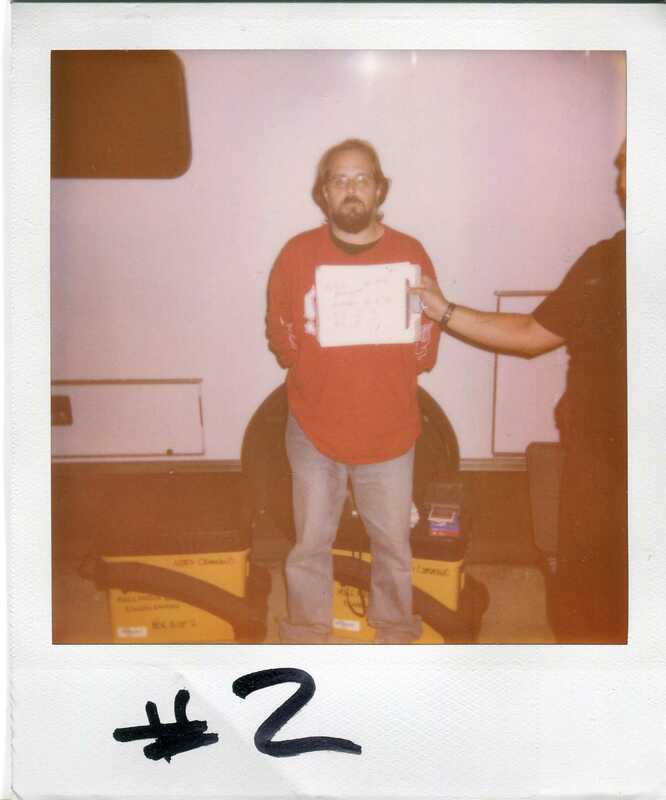 Arts and culture editor Andrew Scott Ramsey stands for a mug shot at Occupy Sacramento on Sunday, Oct. 9, 2011. I woke up early on Thursday Oct. 6, caught the bus and light rail to head down to the first day of the “Occupy Sacramento” movement. As I entered Cesar Chavez Park in downtown Sacramento, a fleeting moment of hatred about where America is headed filled my heart and mind. Our country is sick. America has become the very institution that our forefathers felt it necessary to declare their independence from. Our politicians seem not to care about the people, but only how deep our pockets are to fund their grandstanding and inane policies that work for no one. Barack Obama, who I once gladly called our president, has done nothing but alienate and disenfranchise his voter base. It is time to show him what the phrase “Yes we can” really means. I walked up to the fountain in the park square and immediately was immersed in a new world, a new country being built on the foundation that every life is valuable, that every voice counts. My hatred faded away. My pessimism quickly turning to optimism; I was standing on the threshold of the new American Revolution. My voice was going to count this time. All of our voices were going to count for something other than marketing statistics. As I talked to hundreds of different people with hundreds of different opinions, one thing became clear to me: A new community was being formed. One that does not discriminate based on race, religion, sexual orientation, political party, economic standing or nationality. Everyone was welcome. There is only one rule, a rule that it’s a shame it actually needs to be said. Treat everyone with respect. Let them speak. If you disagree, this was the place for intelligent debate; this was the place where the ills that plague our society can and will be fixed. I was locked in. I finally came to realize that this is what I want. I want a country where everyone is welcome. I want a country where every citizen is lucky enough to have all the opportunities I have had. I realize I have squandered most of these chances, and I take full responsibility for that. I am not asking for handouts from anybody, nor would I accept them. All I want is equality. True equality, not the version handed down to us by our corrupt federal government and Walmart. Too bad the city of Sacramento and Mayor Kevin Johnson do not see it the same way. The city seems to think a camping ordinance meant to keep the homeless from having any place to go is more important than exercising our constitutional rights to assemble and protest. The “mayor” and the rest of our “elected city officials” seem to agree with our protest at the Oct. 18 City Council meeting; something I saw with my own eyes from the official streaming of the meeting on the main website for the city council. They seem to support the Occupy movement, but their actions have proven to the contrary. I have the mug shot, arrest record and court date to prove it. In the early morning hours of Sunday, Oct. 9, I had enough. Rectify that. I had already had enough years ago. I made the intelligent and informed decision to stand up for my constitutional rights and go to jail that evening. As a group of 14 peaceful protestors, myself included, were surrounded by almost 60 Sacramento police officers dressed in full riot gear, batons, tasers and pepper-spray guns, my resolve became stronger. Only one thought entered my mind. This is the greatest event that has ever happened to me. I never felt more like an American citizen than I did then. I will keep going back to jail time and time again to stand up for my right as an American citizen. 3 Comments on "Occupy for justice: A Current reporter recounts his Occupy Sacramento experience"
You’ve been to jail for justice! Go look up Anne Feeney if you’ve never heard of that song before! I’d shake your hand if I could. Bravo! You’ve expressed what probably thousands are feeling beautifully. Good luck with your rap sheet : ). Thanks for all the kind words and support. At least I can say my rap sheet is the one thing I have done right in my life.